The Mobile Game That Kills; Hitman Go….A Go. Square Enix Montreal today, has released Hitman Go for the iOS today. 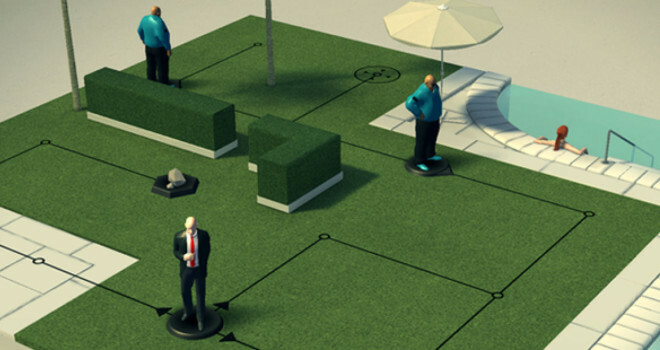 Hitman Go is a turn-based strategy puzzle game that plays like a board game. The gameplay has an emphasis on stealth as you are take out upcoming and unsuspecting oppositions and obviously, not get caught doing it. “We wanted to make something unexpected. Something that crystalizes everything ‘Hitman’ in the simplest way possible, while retaining the high class, cool attitude the famous assassin is known for,” said Karsten Lund, Creative Director at Square Enix Montréal, who developed the game.